Dear readers, I have a one time 10% coupon code from Pen Chalet to give away. Do read to the end to find out how to win this coupon code. This is open to all local and international readers. I had been aiming to buy a Lamy fountain pen fitted with Lamy’s gold nib, not counting the gold nib of the Lamy 2000, to try. I was tempted to get the Lamy Studio Wild Rubin when it launched initially but I didn’t want to buy a pen that I already have. I opted to get the Lamy CP 1 instead in the platinum finish to match my stainless steel Lamy Studio and Logo. The Lamy CP 1 is created by designer Gerd A. Müller, who has also designed the iconic Lamy 2000 as well as the Lamy unic and st. The CP in the name stands for cylindric pen which describes the pen perfectly. It comes in 2 different finishes. The more affordable option is the matt black lacquer finish which comes with Lamy’s stainless steel nibs. 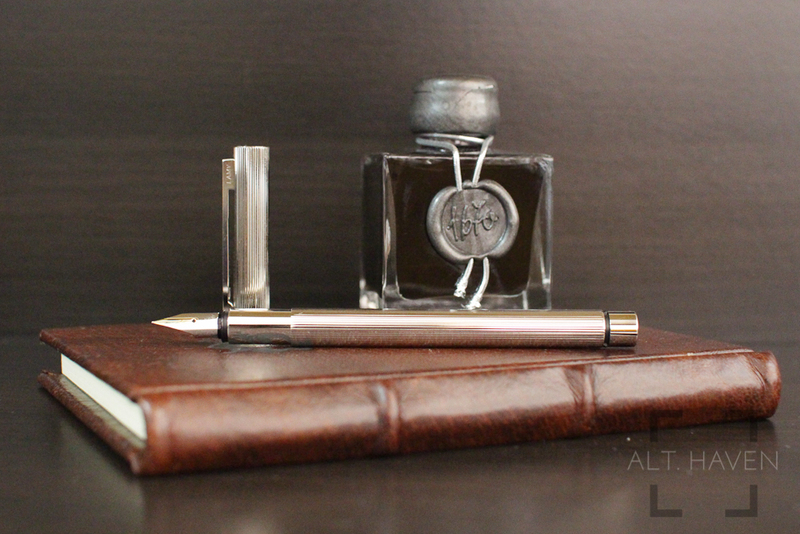 The other is the silver and shiny platinum finish which comes with the two toned 14k nib. 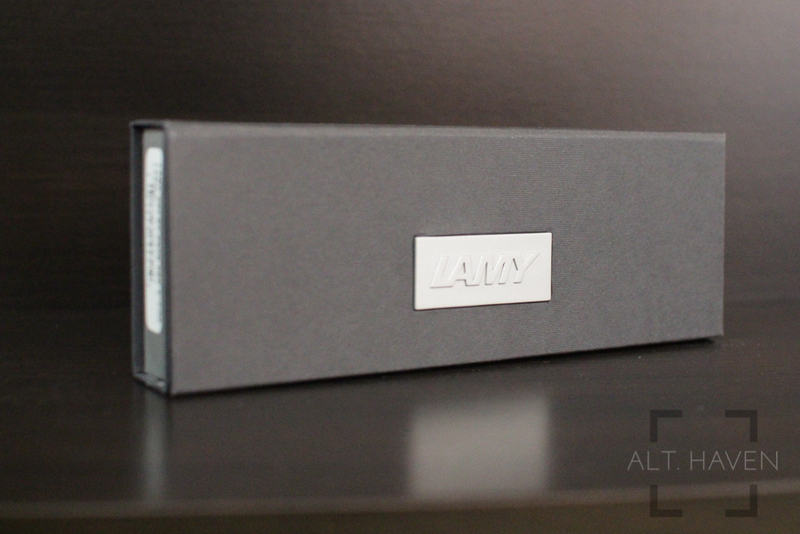 The Lamy CP 1 came in the same packaging at the Lamy Studio and Lamy 2000. I have always enjoyed Lamy’s packaging. They are usually always compact and interesting. The cardboard box unfolds out to show the pen cradle among the foam inside. 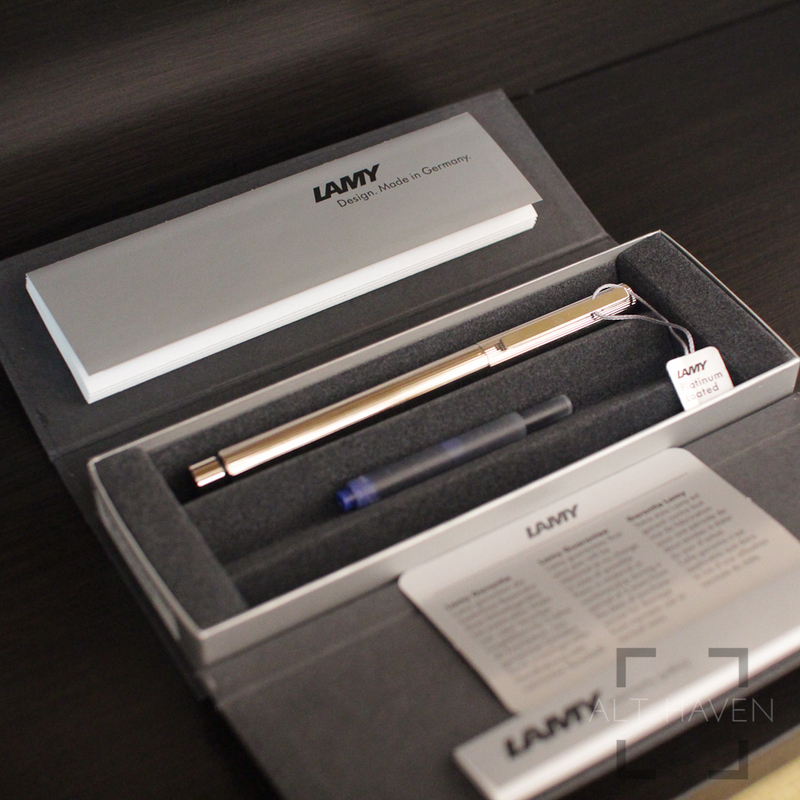 The Lamy CP 1 comes with a single blue cartridge as well as the LZ26 converter. I appreciate that retailers like Pen Chalet would include the converter with the pens they sell. The Lamy CP 1 is one solid pen. The metal body has a comfortable heft in my hand. 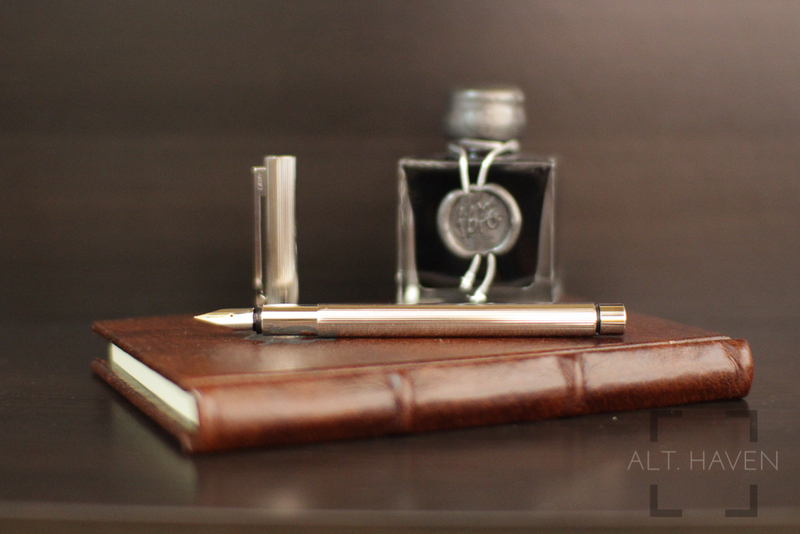 The pen feels luxurious especially with the guilloche structure on the cap and barrel. The spring loaded clip is made of solid stainless steel and mounted on the cap. The cap opens with a slight tug and closes with a satisfying snap. You can post the cap on the end of the barrel with a click. However posting cap wouldn’t change the length of the pen by much given its short length. The grip section is also entirely metal and is rather short. 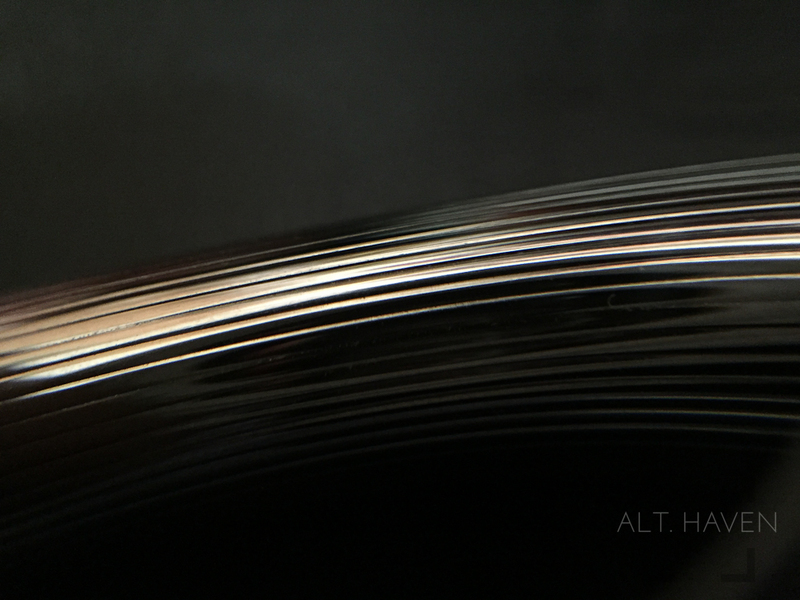 There is a barely noticeable step between the barrel and section. Though I had trouble with the metal grip section of the Visconti Van Gogh Starry Night but I have no such problems with the Lamy CP 1’s metal grip. My guess would be the short grip section means when I write I am holding on to part of the barrel. The ridges on the barrel might be helping with the grip on the pen. The barrel and the cap is one straight line with no flares or dips in the shape of the pen. The barrel unscrews to reveal the cartridge or converter that’s the innards of a fountain pen. This is a straight forward filling system which is easy to clean out when needed. Overall the pen is on the silm side, this might be a problem for those with larger hands. The nib is a beautiful two toned 14k gold nib. It comes in various options such as EF, F, M, B, OM and OB. The nib is interchangeable with the stainless steel nibs that Lamy offers. You can switch the nibs in and out with ease when the mood suits you. However I am not sure if the 14k nibs are available for sale separately like the regular stainless steel nibs are. 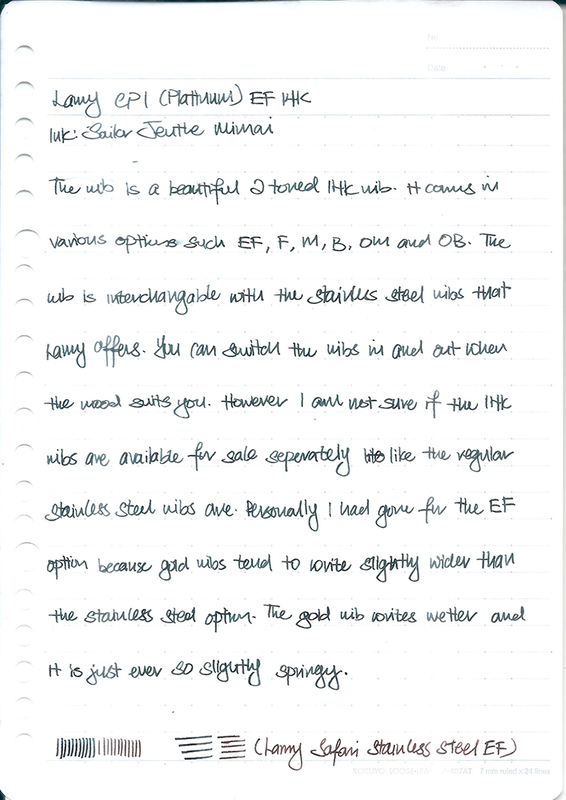 Personally I had gone with the EF option because gold nibs tend to write slightly wider than the stainless steel option. Writing with the 14k nib is rather different from its stainless steel. It writes wetter and it is just ever so slightly springy. It also has a slight hint of feedback which is not unpleasant, I quite enjoy it. The nib gives me slight line variation when I write with it which is a pleasant surprise. The difference in feel between a regular version and the pimped out version CP 1 is well worth the difference in price. The gold nib is very nice and a joy to write with. The understated design and the way the pen feels in my hand makes me feel that I have a quality product. I wouldn’t hesitating adding another Lamy gold nib to my collection with this experience. However, considering the price difference between the Lamy 2000 and the Lamy CP 1, I would spring for the Lamy 2000 if you have not have one in your collection. The Lamy 2000’s body would be a better fit for most and it is the more iconic pen between the two. 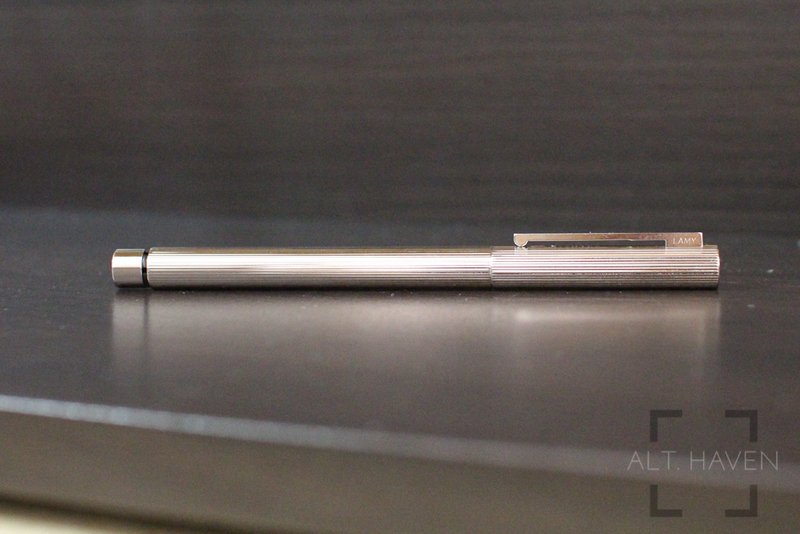 If you are looking for a much overlooked gem, the Lamy CP 1 will be the one for you. Now for a chance to win a one time use 10% coupon code from Pen Chalet, all you have to do is tell me a joke in the comments below by 24th September midnight (SGT). The winner will be announced the following day and he or she will have 1 week to contact me to claim their prize! Disclaimer: I got this at a discount from Pen Chalet. This has in no way influence my opinion on the pen reviewed. There are affiliate links in this review.